The Paul Kohner Agency records span the years 1935-1988 and encompass 75 linear feet. The collection consists largely of scripts submitted to Kohner's agency as potential projects for their clients. There are scripts for more than 500 produced films released during the 1940s through 1970s and scripts, treatments, synopses, and outlines for more than 1,000 film properties that went unproduced. While a substantial number of the latter are undated, those that are fall between the 1940s and 1980s. The 200 or so subject files are comprised of office files that include agency agreements and contracts, clippings, correspondence, invitations, and programs. Of interest are monthly financial reports for Artists' Managers Guild from the 1950s; agreements and related correspondence with daughter Susan Kohner; film-related project files from the 1970s; and material on Universum-Film Aktiengesellschaft, or UFA. Some material is in German. Paul Kohner (1902-1988) was born in Teplitz-Schoenau, Bohemia, then part of the Austro-Hungarian Empire, now Czechoslovakia. His father published a film trade publication there through which Paul met Carl Laemmle, the Universal film executive. With the promise of a job in the U.S., he arrived in New York in 1920 and went to work as an office boy at Universal. After transferring to Hollywood, Kohner was promoted by the studio to unit supervisor from casting director in 1926. He went on to head Universal’s European production in Berlin, Germany. Returning to the U.S., he served as an associate producer of foreign production for Universal. 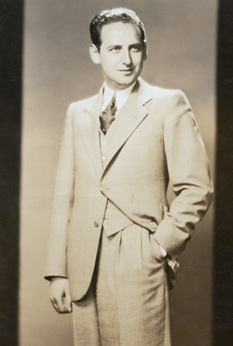 For Universal and other studios, Kohner produced dozens of foreign-language and English-language films between 1927 and 1936. Leaving production behind, he founded the Paul Kohner Agency in 1938 and ran the company for the next 50 years. As one of the few internationally oriented agents in Hollywood, he specialized in foreign talent, an estimated half of his clients were European, with many from Germany. He represented actors, directors, and screenwriters and John Huston, Billy Wilder, and William Wyler were among his clients. With other Hollywood personalities of European origin, Kohner helped establish the European Film Fund, later known as the European Relief Fund, to financially assist European artists and help them obtain visas, particularly during the 1930s and 1940s. Kohner married actress Lupita Tovar in 1932. Their daughter Susan Kohner worked as an actress and son Paul J. (Pancho) Kohner as a producer.